Established in 2013 Located in Staffordshire surrounded by the beautiful Cannock Chase we are proud of our family business, providing a dedicated excellent service and high-quality effective products at reasonable prices. Founder Elaine grew up loving animals and nature, she decided that dogs would always be her life, she soon qualified in animal husbandry, dog grooming and dog breeding, years later she found a career in her other passion natural plants learning the usage and the medicinal value of all wild plants. Elaine now practices and shares her knowledge and wisdom with The Dog Herbalist. Our philosophy is to provide a holistic approach to pets that is both sustainable and ethical; focused on natural and organic wherever possible. We are constantly adding to our existing range and search for the finest natural products to help improve the wellbeing of your dog. We do not purchase anything that contains preservatives or artificial ingredients, we also make sure that none of our products are tested on any animal. We are committed to supplying the highest quality natural products, it is important to us to help you improve the wellbeing of your dog Our aim is to provide a one-stop-shop for all things natural for dogs. We stock a huge range of natural supplements and much more. Many herbs stimulate the body’s own healing abilities, some have soothing effects and improve the circulation, some enhance the flow of nutrients to a tissue and some herbs have the ability to improve the tone, vigour and function of the whole body. 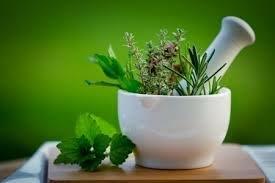 Most herbs have a high anti-oxidant activity assisting to maintain healthy tissue. Our choice of products are based on their deep healing and protective properties. A lifestyle choice for your pets, because your pet deserves to live a happy and healthy life.